Locality: United States, Colorado, Saguache, Southern Gunnison Basin: Cochetopa Hills: Gunnison National Forest: lower part of rocky cirque and around Baldy Lake, ca 2 air mi E of Middle Baldy; ca 6.9 air mi SSW of Sargents. Habitat: Rocky cirque and forest. Elev. 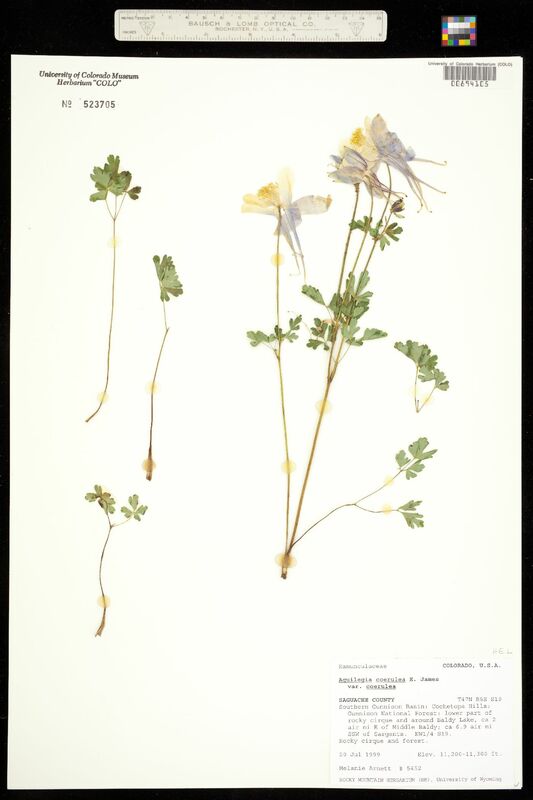 11,200-11,300 ft.
Notes: Original ID: Aquilegia coerulea E. James var. 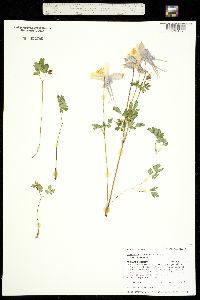 coerulea.